Cryptonomicon is an imminently enjoyable, complex, multi-layered story buoyed along by sparkling wordplay, crackling with energy from the first page to the last. As a novel, the book also represents a major step in Stephenson’s career as a writer. Maturing greatly since Snow Crash and The Diamond Age, Cryptonomicon is an examination of the importance of cryptology to both the birth of the modern computer and information security in the late 90's dot com scene. And so while Snow Crash was set in a near-future hyper-capitalist version of the USA, Cryptonomicon remains rooted in familiar settings, the narrative split between the Pacific theater of WWII and the world of international business at the turn of the century. Those who are expecting action-packed cyberpunk will need to switch to a lower gear to appreciate not only the more sublime storytelling but the wealth of insight and research Stephenson has injected into this 1,100 page tome. Though digressions on such matters as cryptology and mathematics feature strongly, Stephenson has not lost any of his wit and style, metaphor taken to a whole new level of whiplash accuracy and zany creativity. Though not a posterized example of science fiction, the technical elements maintain such presence that it is difficult for the work to be considered anything but, ciphering, decrypting, and the intricacies of our computerized business world featuring strongly. Who else would make Alan Turing a character in a techno-adventure? For those who have heard good things about Stephenson’s Baroque Cycle but would like to try something a bit easier to digest prior to digging into that massive eight book work should give Cryptonomicon a try. Otherwise, if you’re looking for a techno-historical adventure rooted in cryptology and computer coding, check this book out, you won’t be disappointed. Any long lasting band or artist takes their first forays into the public eye with one hand holding ideas of others and the other hand offering ideas of their own. As they mature and achieve success, a slow transition can be seen in which their own ideas take over and become the trademark style by which they are known. 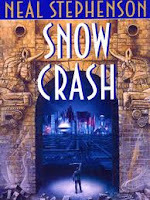 Snow Crash is from the former stage in Stephenson’s career. Flashes of brilliance, particularly in the style he would hone in Cryptomicon, appear throughout the plot and dialogue. The futuristic ideas regarding political autonomy, ultra-capitalism, and scientific development, some of which now seem so commonplace (virtual worlds and lives), were wholly original at the time this book was published and indicate the creative steps Stephenson would later take in Anathem. But at heart Snow Crash is a cyberpunk thriller juiced on action steroids. Lacking the maturity and depth of his later novels, it is defined by over-the-top characterizations (e.g. samurai wielding pizza delivery guy/computer programmer, fearless skateboard punk girl, robo-dog, etc. ), James Bond-style world takeover schemes, as well as (ahem) ancient Sumerian artifacts involving secret symbols that require Indiana Jones-esque detective work to unlock. That it’s written in such an electric style that never seems to stop is a credit to Stephenson’s natural storytelling ability and is certainly responsible for establishing him as a name in the sf world. But a story with only flashy plot devices remains a story, nothing more poignant or meaningful below the surface to take it to the next level. If you’re looking for an exciting, action packed cyber punk thriller with all manner of interesting gadgets and tech, both virtual and real, as well as scenes from a plausible, not-too-futuristic America, then by all means pick this book up, you won't be disappointed. This is mainstream Stephenson at his best. However, if you’re better acquainted with Stephenson’s post-Diamond Age writing, this book may come across a little shallow and leave you wanting a more multi-layered examination of themes which tie into the real world. Sent to pick up the manuscript of an Indian poet thought dead, the writer Robert Luczak and his family find themselves in the underbelly of Calcutta street life, a place wholly unlike their native USA. Uncertain of who to trust, Luszak must deal with underground sects, literati, the politically connected, as well as strangers on the street as he attempts to track down the ever elusive manuscript. The horrors he finds along the way, however, are not limited to scenes he witnesses at the bottom end of India’s caste system. Beneath the squalor of Calcutta’s streets, a cult of Kali, the Hindu goddess of destruction, is rising. New members are subject to unthinkable initiation rites, and in the basement of the temple itself, Luszak encounters something from a nightmare. This nightmare, however, pales in comparison to the reality which he faces after completing his mission. Heartbreaking beyond belief, the manner in which Luszak triumphs over this power is not only riveting but emotionally charged. Beyond the horror and dirty streets, it is the true message of the story. Winner of the World Fantasy Award, Song of Kali is recommended for anyone seeking a well written story of redemption whose horror elements are but auxiliary. As usual, Simmons’ prose is smooth and easy, stark yet evocative, not to mention the narrative he produces has an atypical structure which enhances the story’s conclusion. 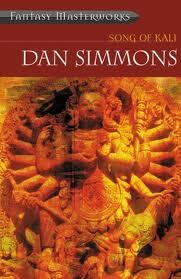 Yes, Simmons does not paint a beautiful picture of India, but that is not the point. Read for yourself and find out. Knowing that the next book’s events happened both in parallel and after A Feast for Crows, I had great expectations that A Dance with Dragons would answer the majority of the questions left open by the fourth book of A Song of Ice and Fire, not to mention take the overall story arc to the next level. I couldn’t have been more wrong. It’s as if Martin’s mindset has shifted from novelist to screenwriter. Where the first three books offered many satisfying conclusions to individual events happening in the larger narrative (the general state of affairs in Westeros has always been ambiguous), the last two books have offered nothing of the sort. Instead of tying up storylines as the series moves closer to its conclusion, more and more are being left open. In other words, you’ll have to tune in next week to find out what happens with Dany and Jon. I ask, where’s the consistency in all this? What happened to the pattern established in the first three books? Am I the only one who enjoyed knowing the aftereffects of Eddard’s choice to defend Sansa at the end of A Game of Thrones? Would you have enjoyed A Storm of Swords if it ended in the middle of the Red Wedding? What if Tyrion was just left for dead at the end of A Clash of Kings? With beginnings, middles, and ends, those were true storytellers’ books. A Feast for Crows and A Dance with Dragons with their cliffhanger endings are, however, made for television. So, for those expecting to read A Dance with Dragons and walk away having a feeling of closure similar to the endings of the first three books, you’ll need to wait for either The Winds of Winter, or, if indeed a new pattern has been established that decisive events are continually pushed ahead to an unknown time, you’ll need to wait for the series as a whole to be published. (At the pace Martin is currently unveiling the story, it may take three more books.) 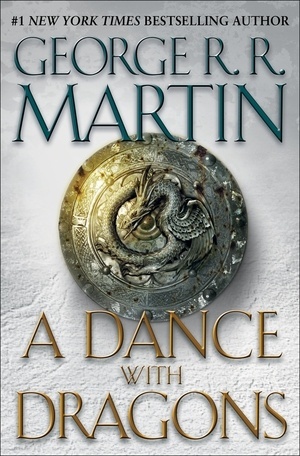 Suffice to say, another 150 pages in A Dance with Dragons would have allowed Martin to tie up many of the loose ends and make the book actually feel like a book. Alas, we must wait. If you’ve read A Song of Ice and Fire this far, the six year wait for new Westeros material will undoubtedly be satisfying in its own right. It’s good to hear from Jon, Dany, Tyrion, Bran, Arya, Cersei, Jaime, Davos, and others again - and some of these arcs continue to sparkle, Bran’s and Theon’s in particular. But when you’ve finished reading A Dance with Dragons, don’t expect to be met with any sense of satisfaction that the series has been taken to the next stage. Yours truly will be waiting for it to be finished before spending money on the next book. 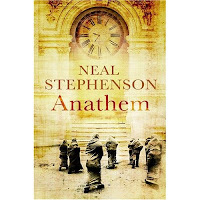 Producing a book that is for once undoubtedly science fiction, Anathem finds Stephenson indirectly picking up where he left off in the Baroque Cycle. 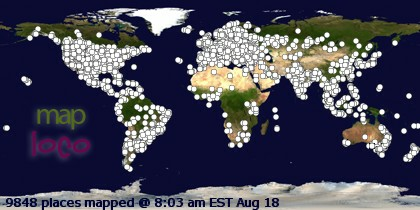 Vast amounts of scientific knowledge are combined with theoretical speculation into a brilliant storyline. But this one leaves the atmosphere. Perhaps his best yet, the events of Anathem begin on the planet of Arbe, a planet roughly analogous to earth in cultural terms, though larger in physical proportion. Similar to Hesse’s Glass Bead Game, the scholars of Arbe are secluded in technology-free monasteries where scientific theory is studied in lieu of religion. Accordingly, the book is rife with dialogue concerning the fundamental nature of reality, the possibility of parallel universes, as well as Stephenson’s own terminology and mythos of scientific discovery within the world of Arbe. It’s difficult to write about the plot without giving away the major event of the book. However, it can be revealed that the protagonist, Raz, along with others monks, are released into the secular world to resolve an ambiguity that has had the whole planet talking. Secularites clash with theoreticians who are in turn having internal problems of their own. How this situation resolves itself is breathtaking in scope, realistic in detail and certainly not of this earth - literally and figuratively. Like his other books, Anathem is not a book with a moral or message. Instead, it is an examination of theories and concepts the nerd that is Stephenson finds interesting - the 'what if?'. That we too are interested in cosmography, camera obscura, chronography, classicism, Cartesian thought, alternate realities, parallel universes, and the like makes us as much nerds as he. Therefore, if you enjoyed the Baroque Cycle, undoubtedly this book will be worth your while. Be forewarned, however, Stephenson intentionally set out to include Socratic-style dialogue in Anathem. If lengthy discussion on mathematics and science is not to your taste, you may want to pass. I found it indispensable toward backing the turns of plot and speculation, enriching the overall experience.